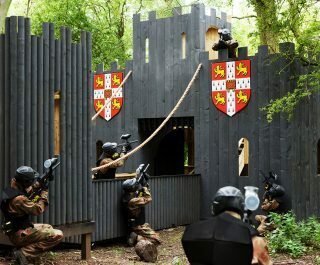 The Belfast paintballing centre is located just off the M8 via the ramp to Kilwaughter. This brand new paintball centre is ideally located for visitors from surrounding areas such as Milbrook, Raloo, Glemo and Ballynure. 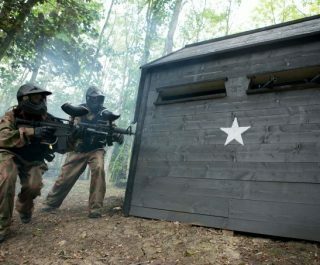 The Delta Force Belfast Paintballing Centre is home to four of the best paintball game zones in the UK. Test your nerves of steel on the action packed Speedball Arena, where the firefight never stops! Storm the Sheriff’s Castle and break through the doors before you’re taken out by sniper fire from above or throw yourself into the full scale war simulation of Enemy at the Gates. The choice is yours! Your only mission is to survive long enough to tell your story of victory back in the basecamp! 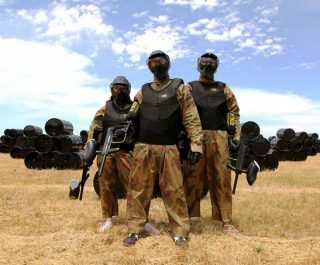 Whether you are visiting for a birthday celebration, stag do, hen party or just a random day of fun, you’re sure to have a fantastic time at Belfast Paintballing. There really is something for everyone. 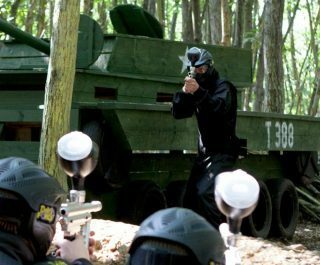 Book the Belfast Paintball Centre now by visiting the paintball booking page or calling our events team 24 hours a day, 7 days a week on 0203 869 9301.